Most people associate a visit to the chiropractor with back or neck problems. But more patients are visiting the chiropractor today for help with muscular-skeletal issues. It just so happens that many of these patients are either competitive or recreational athletes. The strain that high-impact sports can put on the body has been compared to that of an auto collision. Whether you’re a high-impact and low-impact athlete, routine spinal adjustments can benefit you. Our Wexford chiropractic center has helped everyone from professional football, baseball, and hockey players to young high school athletes, gym rats, golfers, bowlers, and weekend warriors. Headaches – It is said that 60 to 90 percent of all headaches can be linked to neck problems commonly brought on from a facet joint disorder. Chiropractic spinal manipulation has been reported to alleviate many chronic headaches. 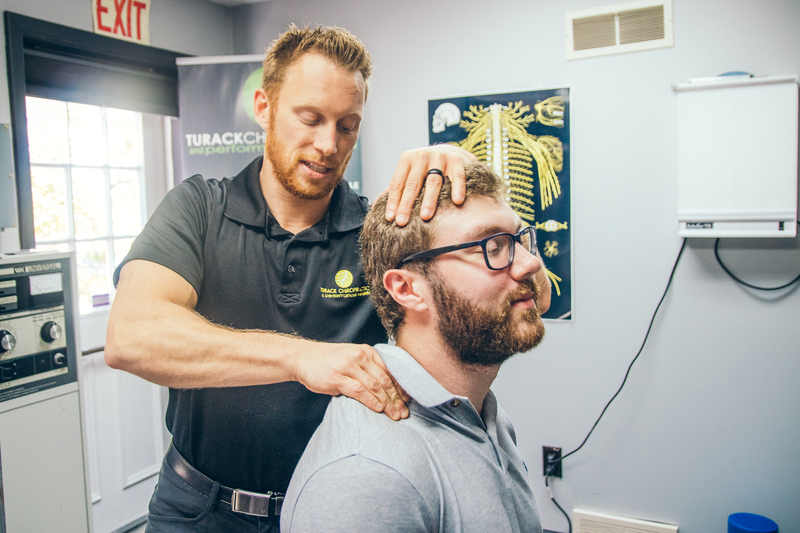 Shoulder Pain – Adding chiropractic shoulder manipulation to traditional rehabilitation techniques can drastically reduce pain related to certain shoulder injuries. Ankle Injuries – Chiropractic care of ankle sprains can help lessen ankle pain, increase motion, and improve ankle function. Foot Imbalances – Ever stop to think that the root of a slumping baseball player’s problem could be his feet? The foundation of our body is our feet. They essentially absorb force from the rest of the body while we walk, run, or jump. Our Wexford chiropractic clinic addresses all joints, even the extremities. We can often diagnose a foot imbalance by checking the positioning of the feet while a patient stands in weight bearing position. It can also sometimes be noticed at the patient’s knees, pelvis, or spine. Injury Prevention – Studies have found that athletes with that include frequent chiropractic care in their regimen have fewer leg injuries than those that don’t visit the chiropractor. A highly publicized study concluded that athletes receiving regular chiropractic care for twelve weeks had more power and agility, better balance, improved kinesthetic perception, and a quicker reaction time than those receiving no spinal adjustment. Athletes that get routine chiropractic adjustments tend to notice improve athletic performance, mental clarity, better flexibility, greater range of motion, increased blood flow, improved recovery time, better hand—eye coordination, and fewer nagging or debilitating injuries. Let us optimize your health, maximizing your performance, and truly change your game for the better. Contact us today to discuss our athletic/sports performance chiropractic services in Wexford, PA.